Metformin is a drug that is commonly prescribed in North America to treat type 2 diabetes. In 2015, 80 million prescriptions were filled out for metformin in the United States alone. Currently. in Canada 30 per cent of Indigenous adults suffer from type 2 diabetes. Metformin is not broken down in the human body, so an estimated 70 per cent is excreted in urine and feces. The breakdown product, guanylurea, is also metabolically active. While the fate and effects of metformin and guanylurea in the environment are not fully understood, some preliminary lab tests show inhibited growth and reproduction in fish exposed to concentrations seen in the environment. Using small limnocorrals, we will conduct regular monitoring to learn how metformin and guanylurea impact all levels of the food web, from plants to fish. 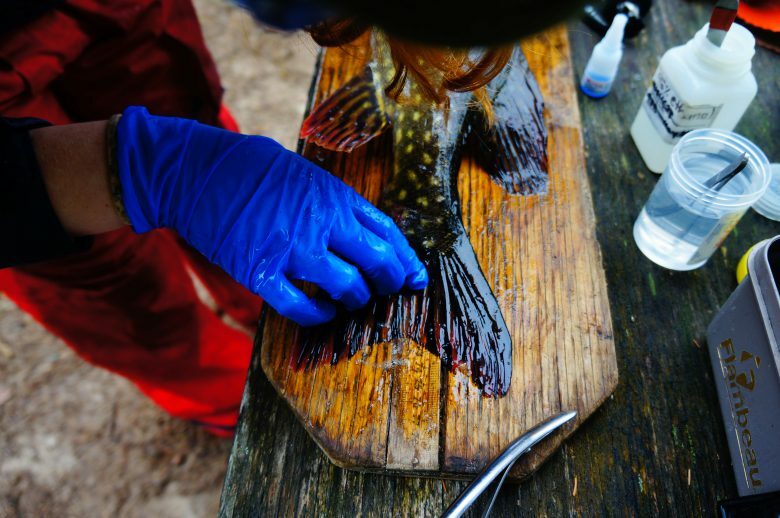 During the summer of 2019, researchers at IISD Experimental Lakes Area will explore what happens when metformin and guanylurea are introduced into freshwater environments. Using small limnocorrals, we will conduct regular monitoring to learn how they impact all levels of the food web, from plants to fish. This research is being carried out in collaboration with the Environment and Climate Change Canada, McMaster University and the School of Freshwater Sciences at the University of Wisconsin–Milwaukee.